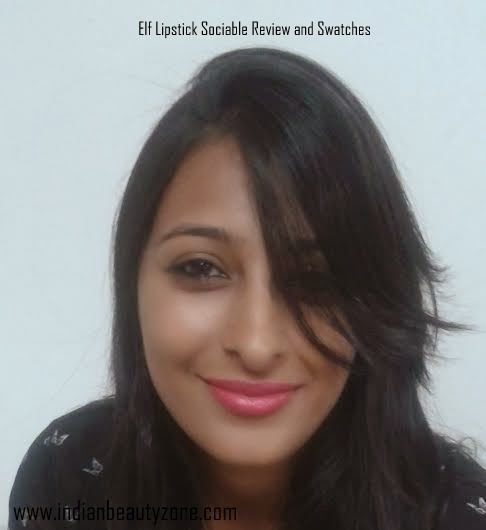 I’m back with another lipstick review. And guess what colour it is… PINK!!! I just love pink shades. I believe in pink. 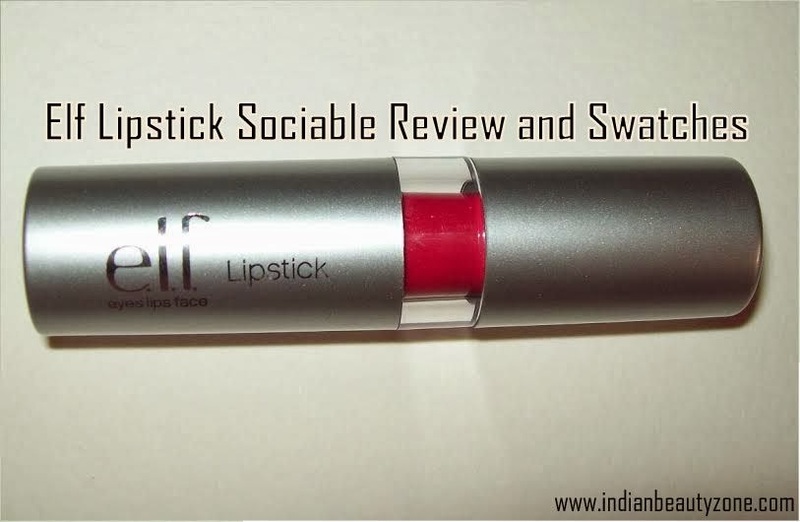 Anyway the product that I’m about to review is from the brand ELF and the shade is sociable. • Long lasting colour and shine. The shade is a nice bright berry pink with small silver shimmers. I’m personally not a fan of shimmery lipstick but well I still love the shade. The texture is very creamy and smooth. It has a fragrance of berries I think which I seem to like a lot. The pigmentation is really nice. This lipstick isn’t moisturizing nor drying but I would suggest applying a little lip balm before actual application of the lipstick. It can be very drying if you have dry lips. The lasting power for this lipstick is really nice on me. It lasts about 8 hours on me. It leaves a very nice tint after fading. 1. It is a lovely hot pink colour. 2. 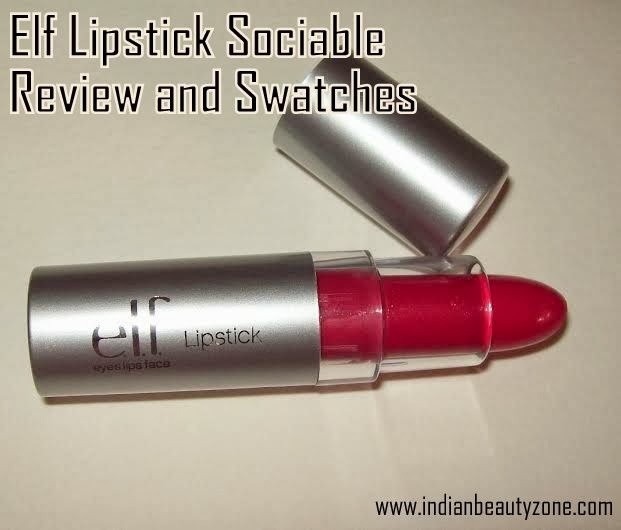 This lipstick gives coverage even on pigmented lips. 3. This lipstick lasts really long (approx 8 hours). 4. This lipstick fades evenly. 2. Maybe a bit drying for people with dry lips (Tip: apply a balm before lipstick application). 3. I don’t like my lipsticks to be shimmery hence I’m listing it as a con. 4. Expensive if bought in India. Definitely worth a buy if you have people coming from abroad who can buy it for you. 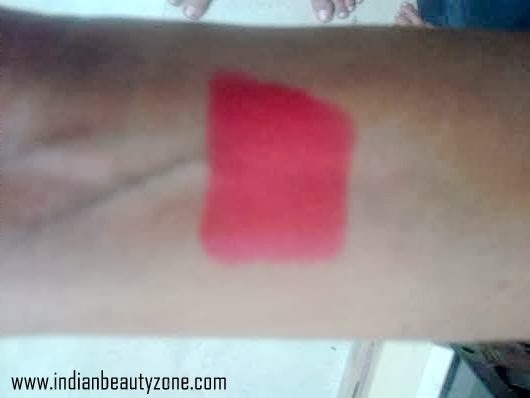 This Pink shade is a must have one and affordable too.